Rustic Home Office Design is a very original and cozy idea. Natural wooden furniture, checked patterns, real tree branches on the floor and lots of cute fabric – this is just the beginning of design. Calm base can be varied with the help of original accessories taken form the countryside: some rope, a leather belt, plants in cans, old-fashioned metal candleholders and others. Add touches of the styles you like to the rustic ambiance: feminine accessories, manly details, minimalist furniture or industrial lights are amazing and look cool with rustic style. 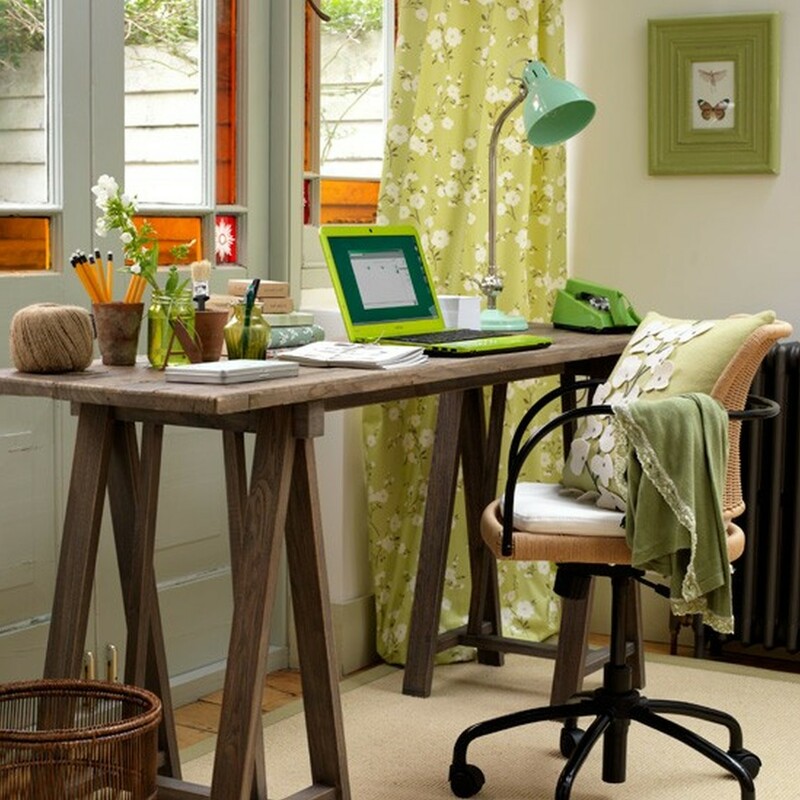 Look at the pictures below, feel the coziness and make your home office rustic!